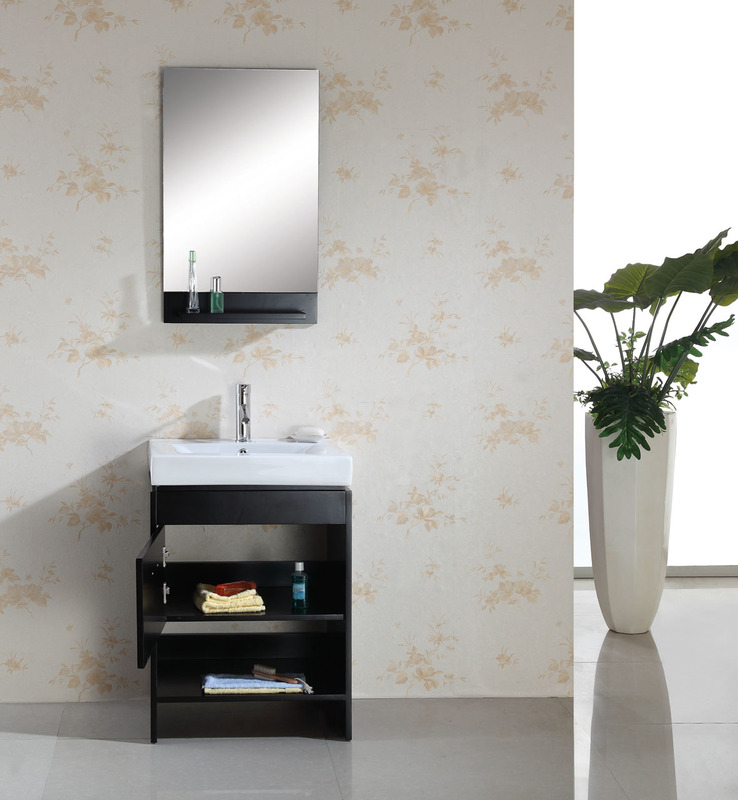 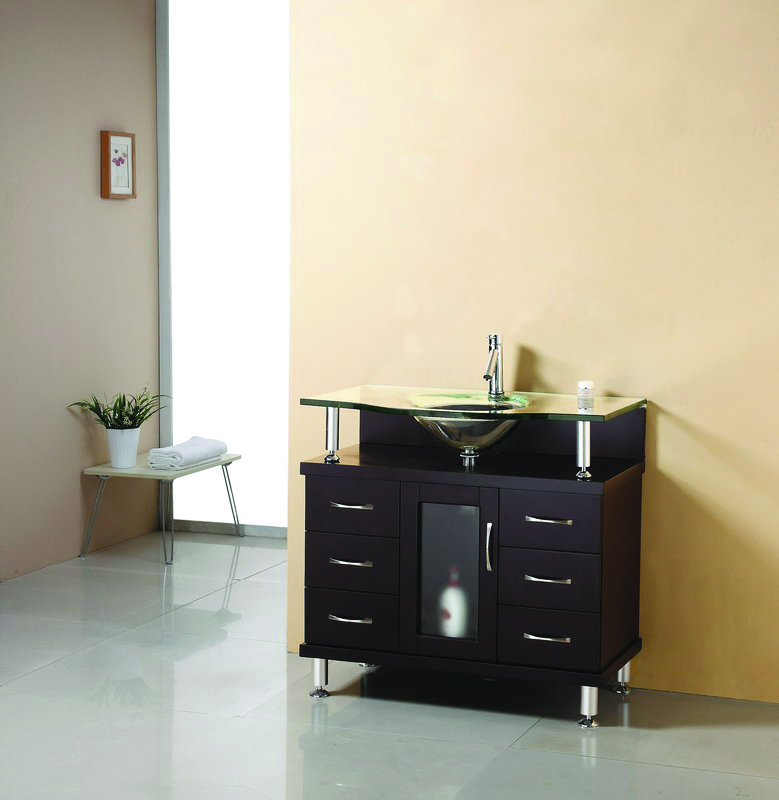 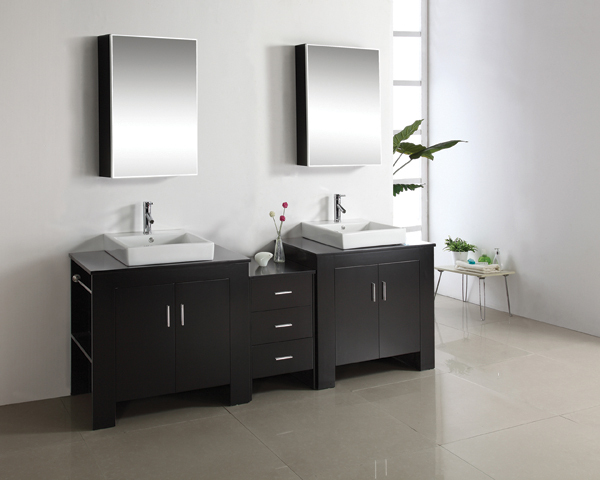 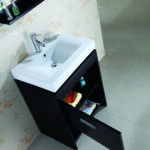 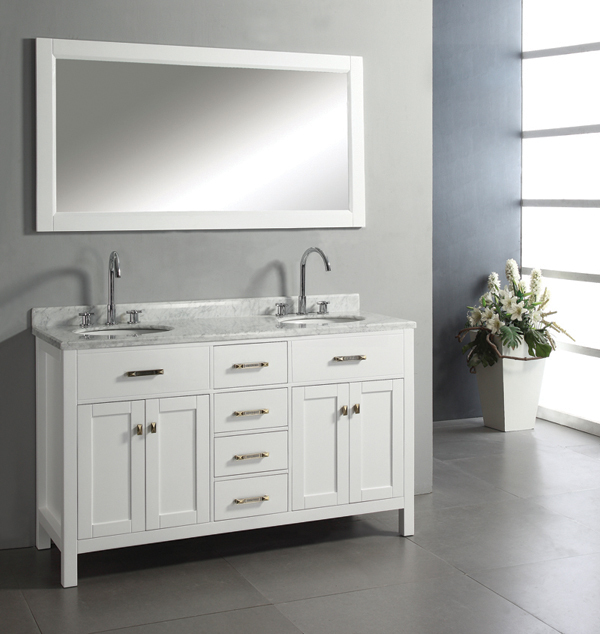 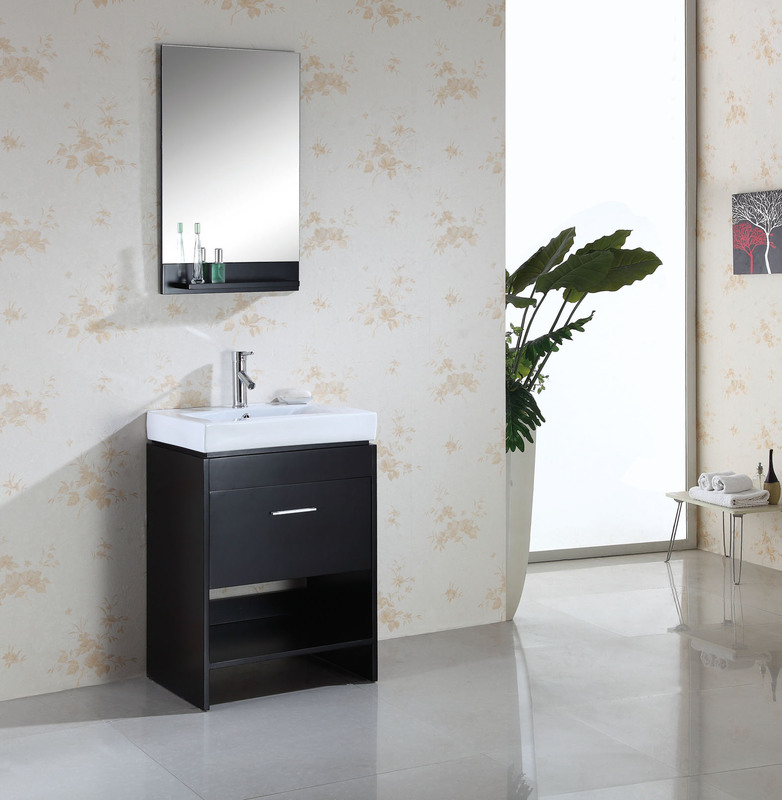 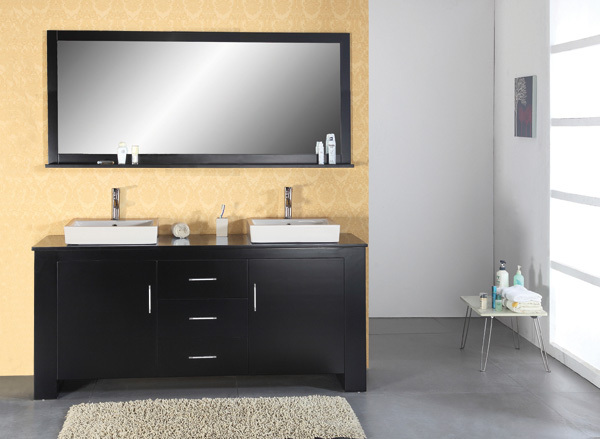 The unique design gives the Gloria vanity a beautiful appearance while maintaining a warm modern atmosphere. 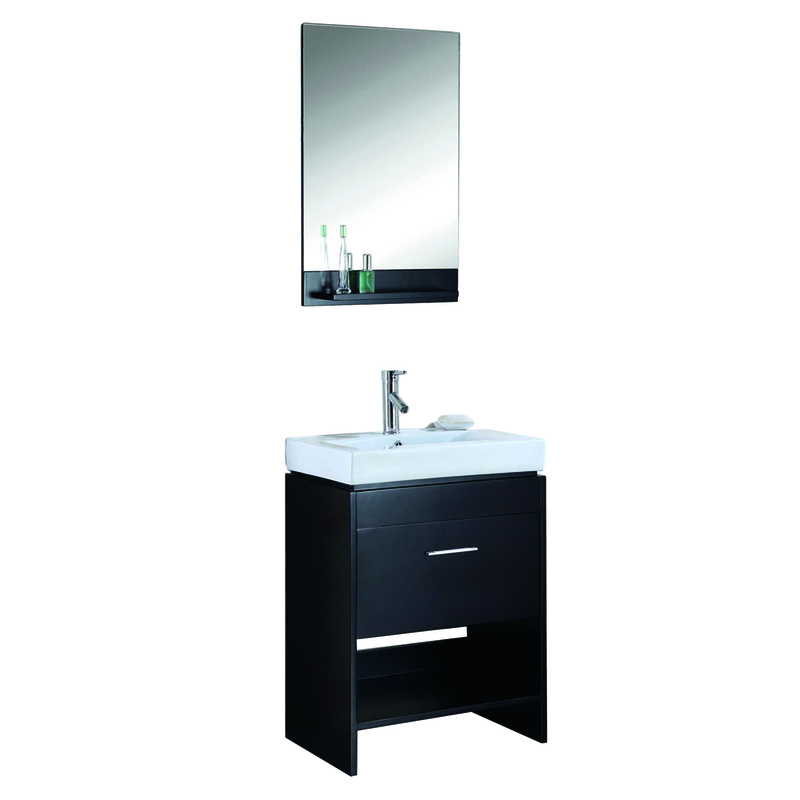 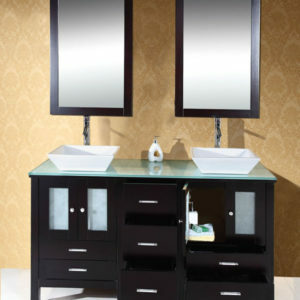 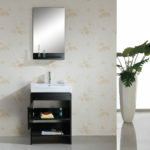 The vanity features a hospitality towel rack, very suitable for a guest bathroom. 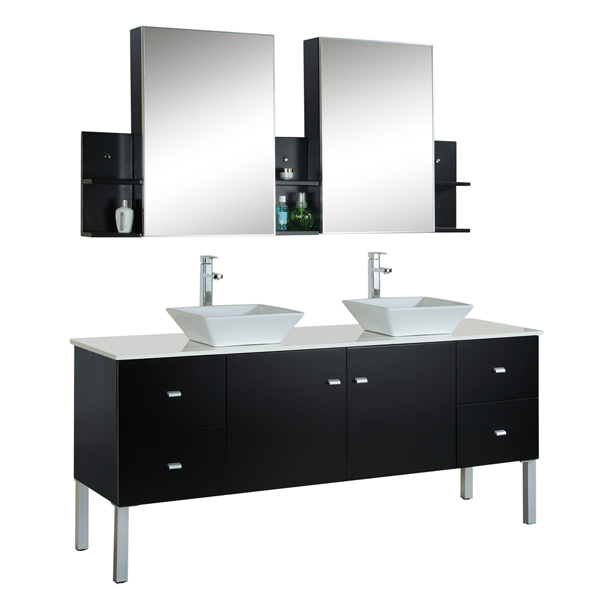 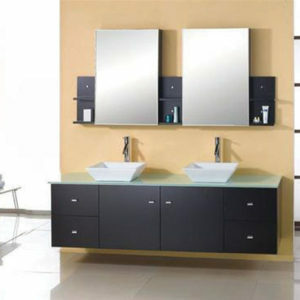 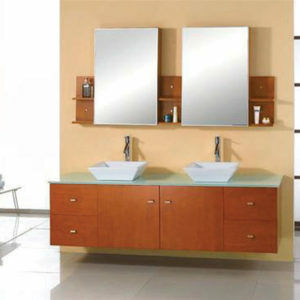 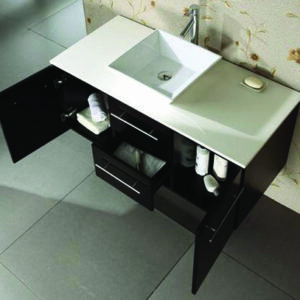 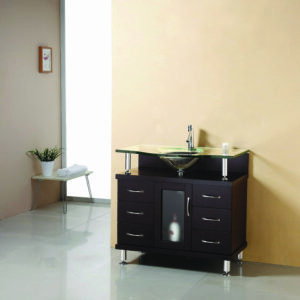 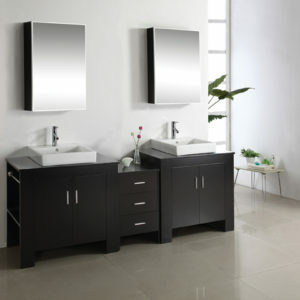 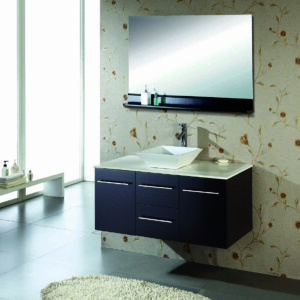 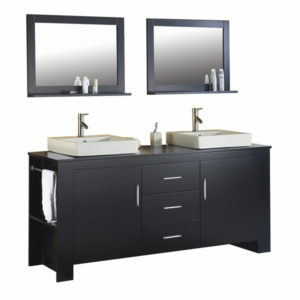 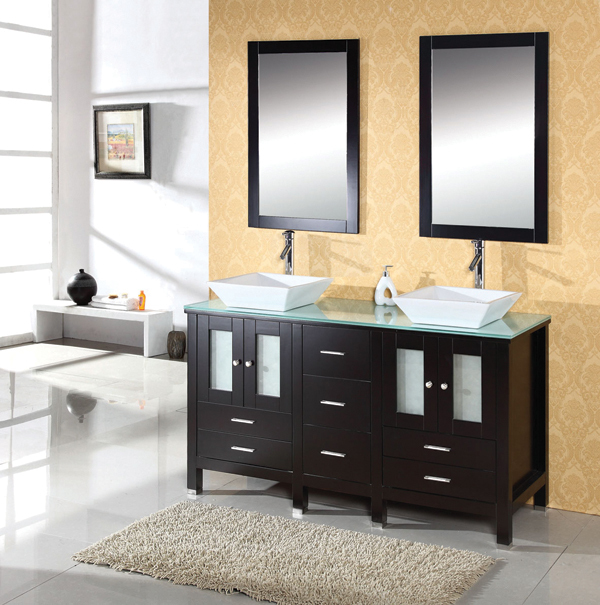 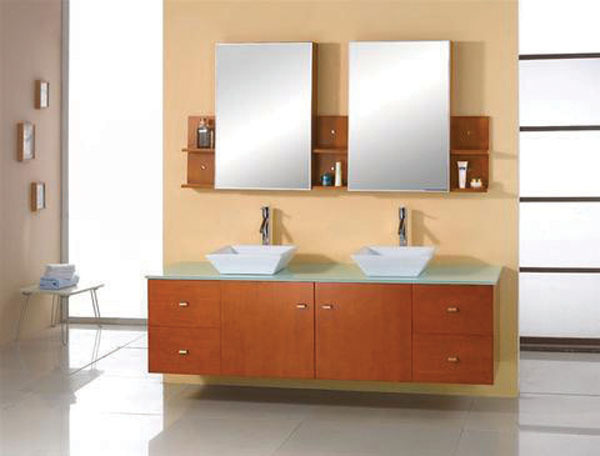 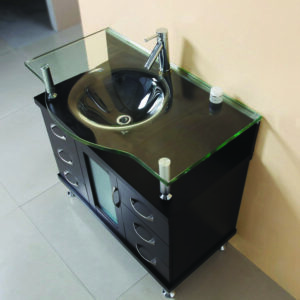 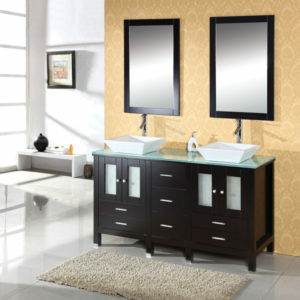 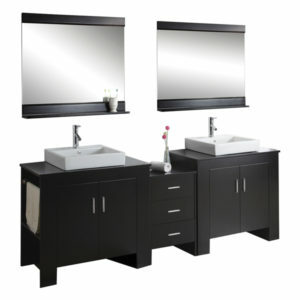 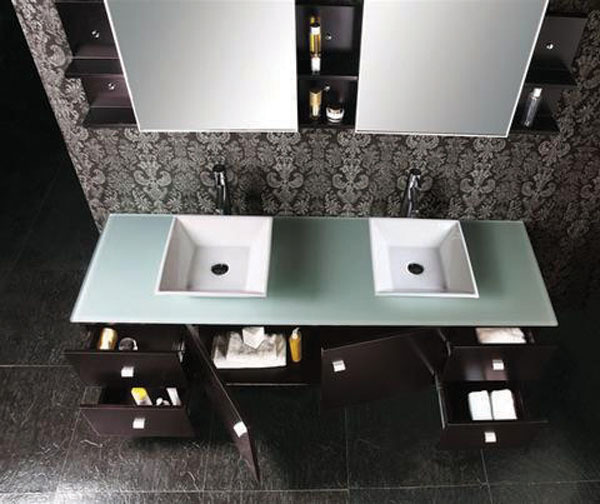 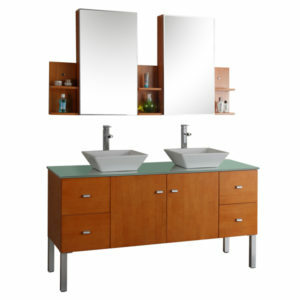 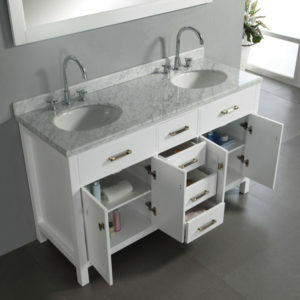 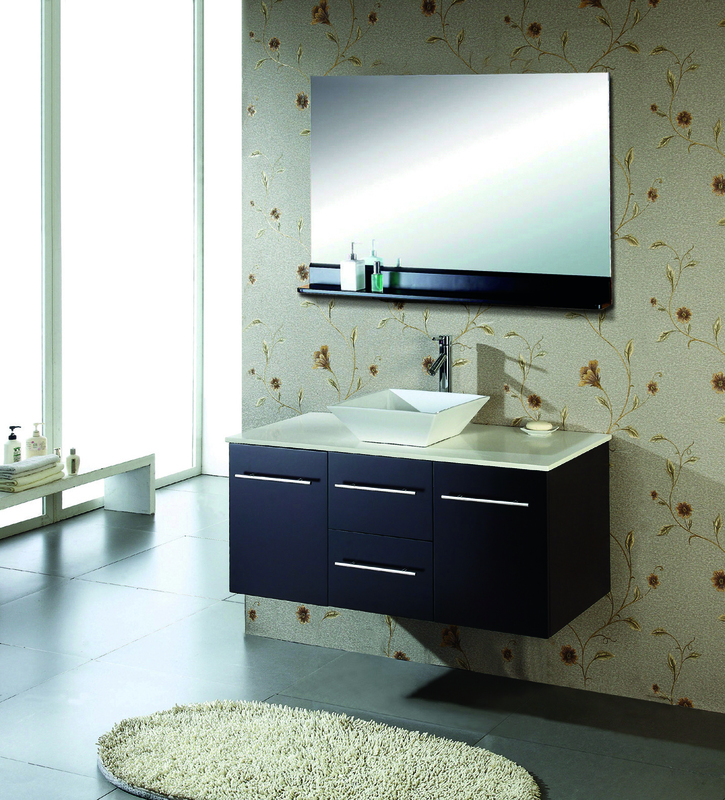 Just as in all the modern models, the Gloria is constructed from solid wood and comes complete with mirrors and faucets. 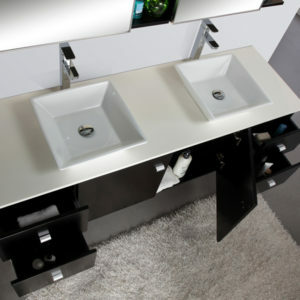 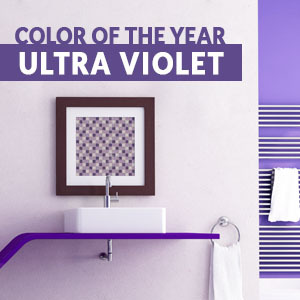 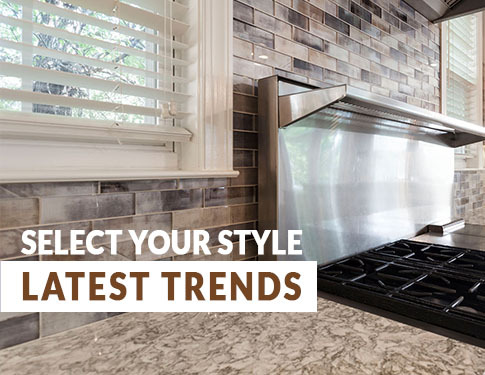 The Gloria is truly a beautiful contemporary design and is currently being featured in many hotels across the states.